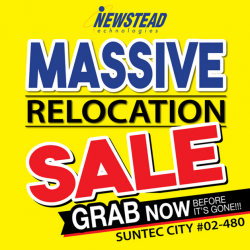 Visit the Newstead store at Suntec City Mall and enjoy the massive relocation sale on wide range of IT hardware and accessories products! Get up to $440 off and free gifts with selected 8th Generation Intel Core notebooks and desktops purchase. Enjoy up to 55% off selected mobile and notebook accessories, audio, speakers, monitors, printers, storage and many more! 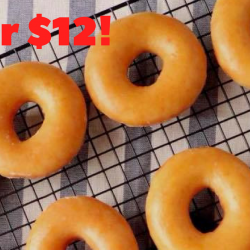 Grab before it's gone! 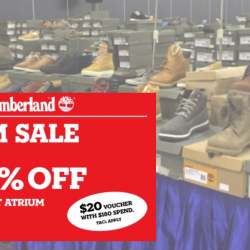 Hurry down to Newstead Suntec store today.While stocks last. Sale ends on 13 August 2018. T&Cs apply. 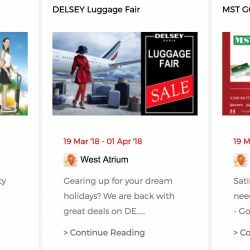 Suntec City: Events Happening This Week – AIBI Fitness, Delsey Luggage, MST Golf Fair! Did you go to the IT Show at Suntec City last weekend? 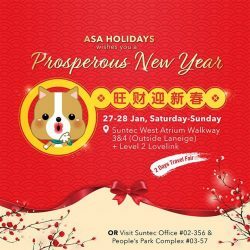 Now continue your shopping spree this week at Suntec City with three events happening! Enjoy special offers at AIBI Fitness roadshow and experience how you can maximize your workout regime with great savings. Or gear up for your dream holiday with great deals on Delsey Singapore luggages, backpacks and travel accessories at Delsey Luggage Fair. Or satisfy all your golf shopping needs at the largest MST Golf - Golf Fair! We recommend checking out the MST Golf - Golf Fair to enjoy up to 70% off many brands and products! 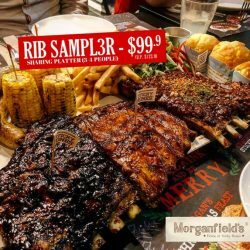 [Morganfield’s] Here’s your last chance to get the Rib Sampl3r at only $99. Here's your last chance to get the Rib Sampl3r at only $99.9 (Usual @ $123.9)! This generous sharing platter feeds 3-4 people easily! What are you waiting for? 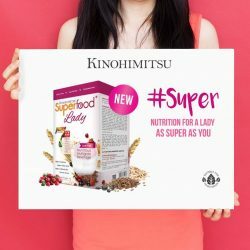 Promotion ends 31 January 2018! Make your reservations now!!! 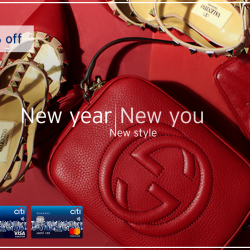 [Citibank ATM] Look forward to new beginnings with a wardrobe refresh! Look forward to new beginnings with a wardrobe refresh! Bag your favourite outfits from Reebonz and get up to 15% off with your Citi Rewards Card. 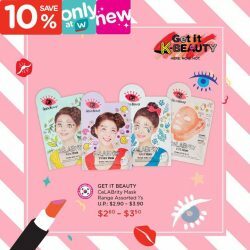 [Etude House Singapore] Get ready for CNY with these essentials on LAZADA! 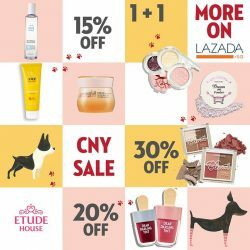 Get ready for CNY with these essentials on LAZADA! 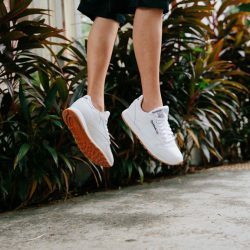 [Reebok Singapore] Marx Mae dares to break free from stylistic conventions and defy age boundaries. 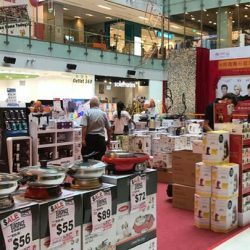 [Harvey Norman] Now on at HarveyNormanSG OneKM, enjoy offers on Sony TVs, LG Home Appliances, Philips Kitchen Appliances and Dyson! [ASA Holidays] MONDAY blues go away! 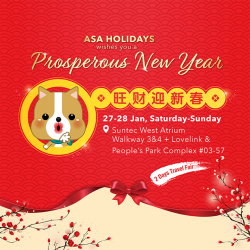 ASA Holidays Travel Fair is here at Suntec City on this weekend with great deal and giveaways awaits you! 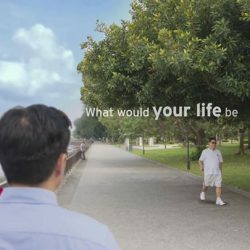 [Citibank ATM] Singaporeans could expect to live longer. Singaporeans could expect to live longer. The average life expectancy at birth currently stands at 82.9 years^. Think of all the time you can spend with your loved ones or pursue your interests. Are you ready for more fulfilling years ahead? At Citi, we are focused in providing you the right solutions so you can retire on your own terms. 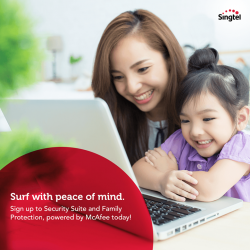 What’s more, be rewarded with limited edition NETS FlashPay cards worth up to S$1,888 when you insure with us before 31 March 2018. T&Cs apply. [Salon Infinity] Freshen up your look this Lunar New Year! Freshen up your look this Lunar New Year! Slots are filling up quick! So Hurry! 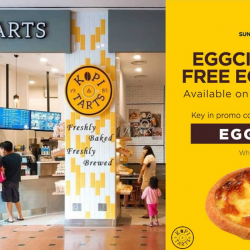 *Prices subject to 7% GST. Valid for all customers. 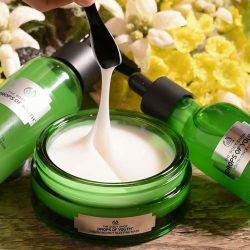 [Crabtree & Evelyn Singapore] Whitsundays, Queensland, Australia. 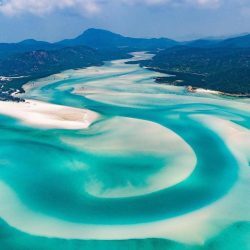 Closer to home, the Whitsundays are a collection of 74 continental islands of various sizes that lie between the northeast coast of Queensland and the Great Barrier Reef. Of the 74 islands, only 4 islands offer a variety of resorts, all with the Great Barrier Reef and fringing coral reefs at their doorstep! This month, follow us as we take you on a journey through the roads less travelled - destinations that might surprise you, new views of popular tourist destinations, and places that you could definitely consider for your travels in 2018! 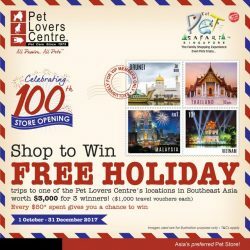 Congratulations to our 3 lucky winners below who won a FREE holiday trip to one of the Pet Lovers Centre's locations in South East Asia.